Call (800) 366-9709 for a parts specialist. We supply commercial kitchen replacement parts to the foodservice industry: restaurants, hospitals, schools, institutions, and more. Our site has over 150,000 parts, accessories, tools, food grade chemicals and sanitizers. Find items for cooking, refrigeration, ware-washing, food preparation, exhaust systems, kitchen plumbing, storage and restrooms including elements, fryer baskets and fryer paper, thermostats, solenoids, knobs and dials, burners, switches, hi limits. 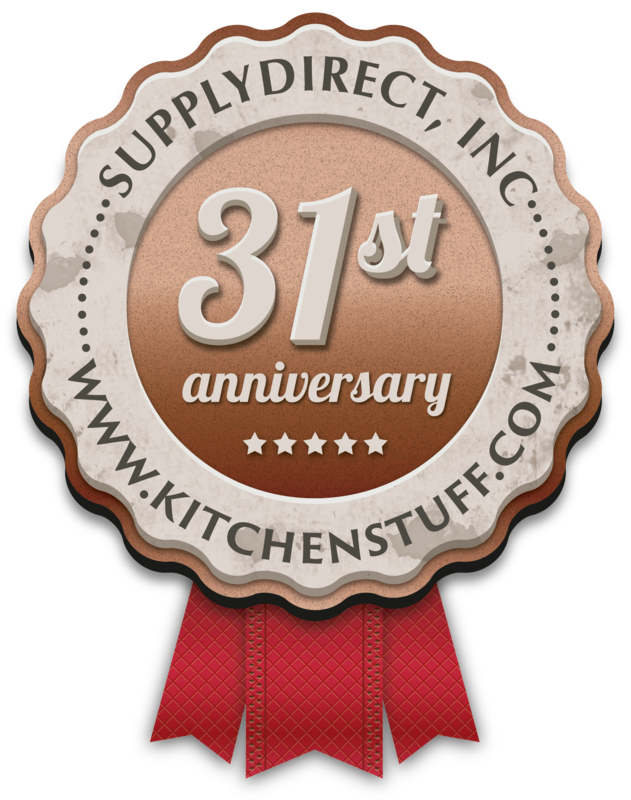 KitchenStuff is part of the SupplyDIRECT Inc. family of brands, since 1988 located in Atlanta, Georgia. KitchenStuff prides itself on superior customer service and your satisfaction is our number one goal. Order conveniently from our website or, if you need assistance ordering a repair or replacement part, please call and speak to one of our highly-skilled parts managers. Whether looking for fryer parts or fryer paper, refrigeration gaskets, parts for ice machines, ovens, ranges, toasters or food warmers; we are able to supply your foodservice kitchen or restaurant with the right part at the right price. Overnight shipping is also available. We carry replacement parts for hundreds of manufacturers including: Beverage Air, Garland, Groen, Middleby Marshall, Vulcan Hart, Frymaster Dean, True, Hatco, Star Holman, Anets, Delfield, Randell, Southbend, Alto-Shaam, Champion Dish, Cecilware Grindmaster, Component Hardware, Cleveland Range, Cres-Cor, Kolpak, Market Forge, Pitco, Robert Shaw, Star-Holman-Wells, Sunkist, Toastmaster, Traulsen, Win-Holt, Turbo Air, Carter Hoffman, Bakers Pride, Jackson Dishwasher and APW Wyott and more. We specialize in Blodgett oven parts, Robot Coupe food processor, slicer mixer and juicer parts, Canplas Endura grease trap/interceptor parts, Everpure parts and Univex slicer and mixer parts. We have replacement and repair parts to keep your restaurant or commercial kitchen equipment running efficiently. We are available by phone 8:00 to 6:00 Monday through Friday and of course ordering on our website is easy 24 hours a day. We understand that stability and competitiveness is paramount to your business and your restaurant equipment must function at its optimum. We will help you find the right part and get it to you as fast as possible -- in stock items ship same day. We offer 1-2 business days ground shipping to over 90% of USA on over 30,000 parts. KitchenStuff – your #1 partner for quality commercial kitchen and restaurant equipment parts.